It seems lots of people have dogs out there, and are always sending questions about various issues with dogs on Canadian Rockies vacations. We’re doing our best to round up all the answers for you here. Below you’ll find answers to frequently asked questions about bringing your dog(s) to the Canadian Rockies. Are dogs allowed in the Jasper and Banff National Parks? 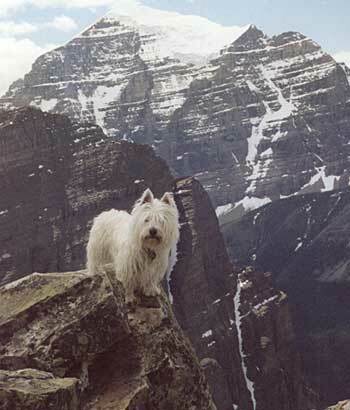 Dog love the Canadian Rockies. Yes. According to Parks Canada, you are allowed to bring your dog into the park, but for the must part, the must be kept on leash. There are trails in Banff and Jasper National Park where dogs are not allowed though. If you plan on hiking with your dog, the best thing to do is check in with a Parks Canada information center and make sure your dog is welcome. Are there pet friendly accommodations in the Canadian Rockies? Yes! The Canadian Rockies are a pretty pet-friendly place. Check here for pet friendly accommodations in Canmore, here for Banff, here for Jasper and here for Calgary. Yes. The town of Jasper has an off-leash dog park on the corner of Elm St. and Pyramid Lake Road. Canmore has an off-leash dog park just outside of town adjacent to Quarry Lake Park.